Lilongwe, April 6, Mana: World Vision Malawi (WVM) has targeted 16,000 smallholder farmers to work with them through end to end process in three districts of the country. 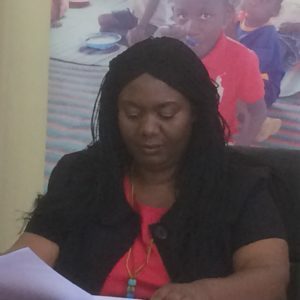 WVM Country Director to Malawi, Hazel Nyathi disclosed this Friday at Bingu International Convention Centre (BICC) in Lilongwe to the media when her organization held consultative meeting with their donors who are investors for communities that depends on agriculture. She said it has been noted that most small holder farmers in the country are trapped in poverty. 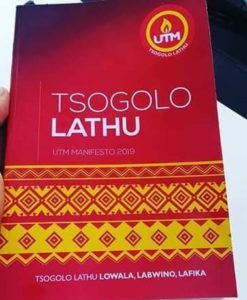 “We want to engaged them right from the production side to marketing process and out will make sure they get sound and fair economic benefits,” Nyathi said . She said the investors want to evaluate and see if the approach being used is working because it is a quite unique process. “Value chains have been done before and we have seen mixed results. What is special about the approach which we are calling it thrive approach which aims at building secure livelihoods sustainably for smallholder farmers. It starts by ’addressing the cultural blocks which is the mind set which is trapping this communities with poverty,” Country Director explained. She said there is need to strengthen resilient mechanism in the country and really take our communities out of trap on relying on donor aid when disasters come. The country Director said the investors have seen potential in our farmers and we are looking forward in expanding the approach. Nyathi said the project has been implemented for two years but results are promising and it is being piloted in three districts of Lilongwe, Ntchisi and Nkhata Bay. She said High Value Givers from United States is one of the investors that have been instrumental in the implementation process of the project. Senior Vice President of World Vision United States, Christopher Glynn said the Thrive approach has proved to be a transformative to Malawi, Tanzania and Rwanda. “My desire is to get full funding in order for us to support the five countries, we are intending to serve. What we saw has encouraged us to go back and get more donor investment,” Glynn explained. He said over US$ 5 million has been invested in the project and they are targeting an injection of US$ 12 million into the project for the next five years. One of the Donor Investors from United States, Gina Buser said she was encouraged to see communities helping each other taking fully their responsibility of their future. She said they are investing in programming and resources for training and bringing tools to farmers.